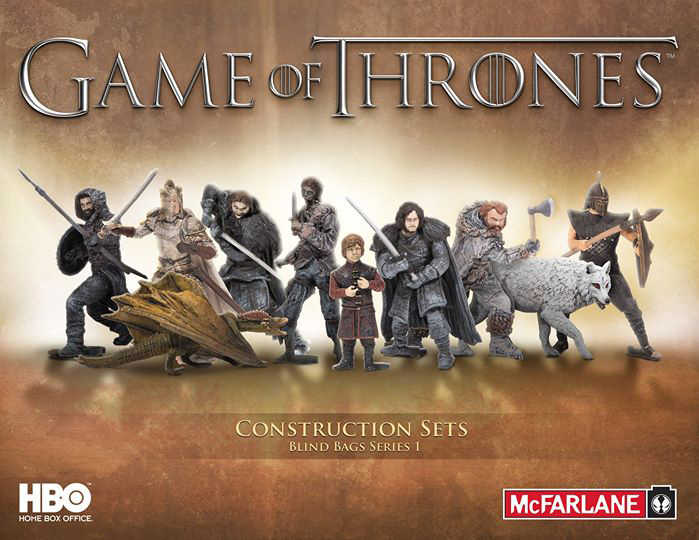 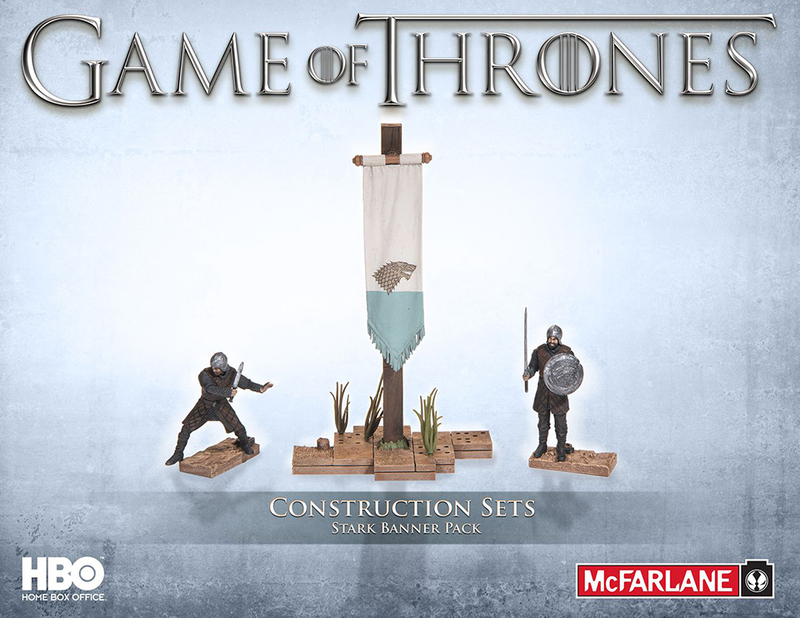 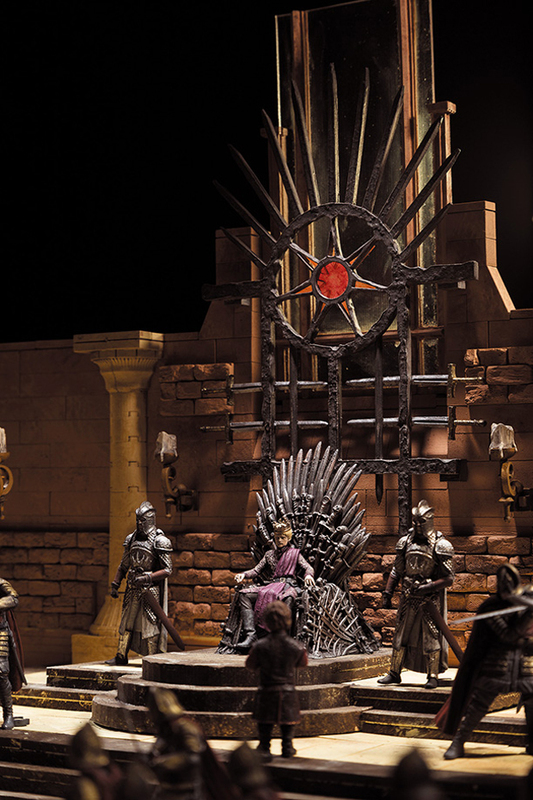 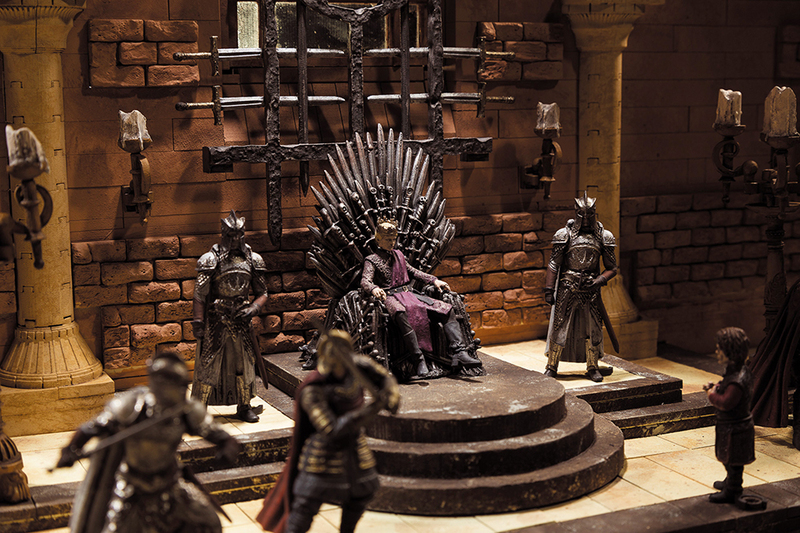 The Game of Thrones construction sets that McFarlane Toys announced last July are now available for pre-order. 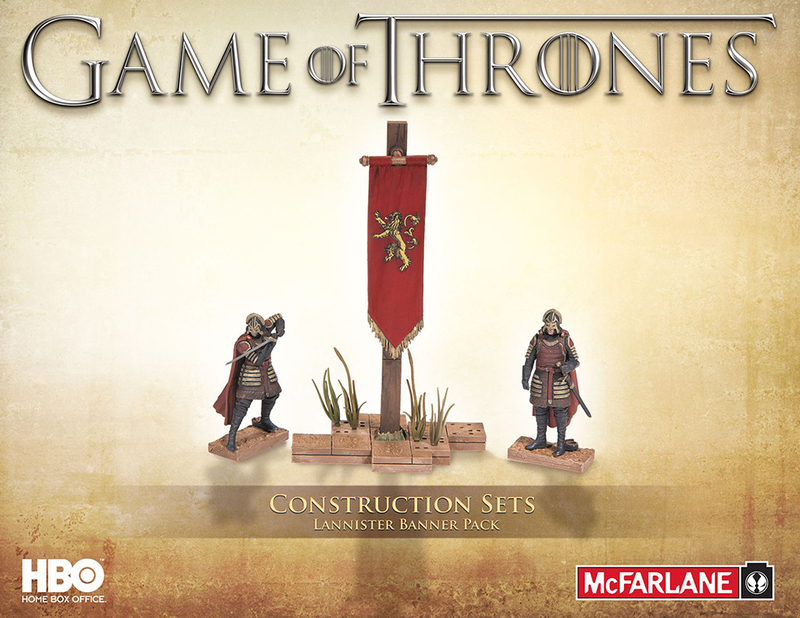 The first batch consists of the 314-piece Iron Throne set, a 44-piece Stark banner pack, a 46-piece Lannister banner pack and 12 2″ blind bag action figures. 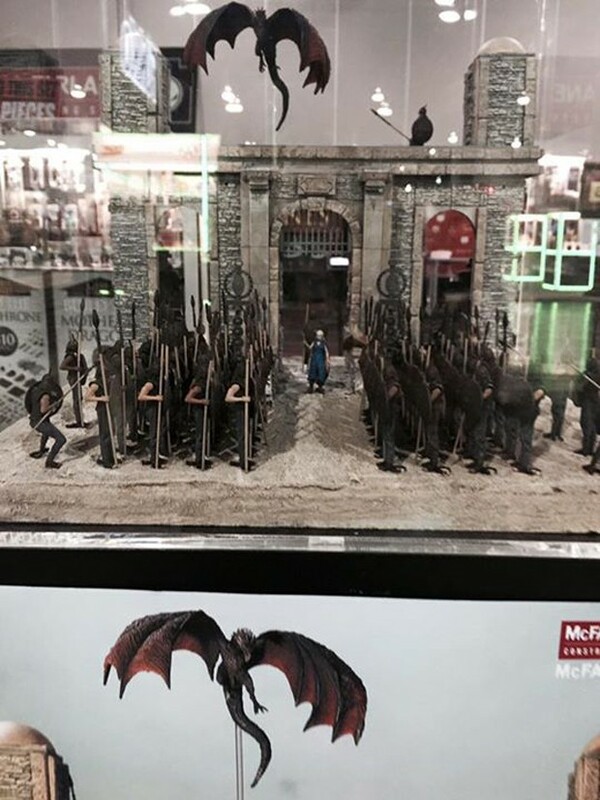 Like LEGO and other building toys you’ll be able to mix and match some these pieces with those from McFarlane Toys’ The Walking Dead set. 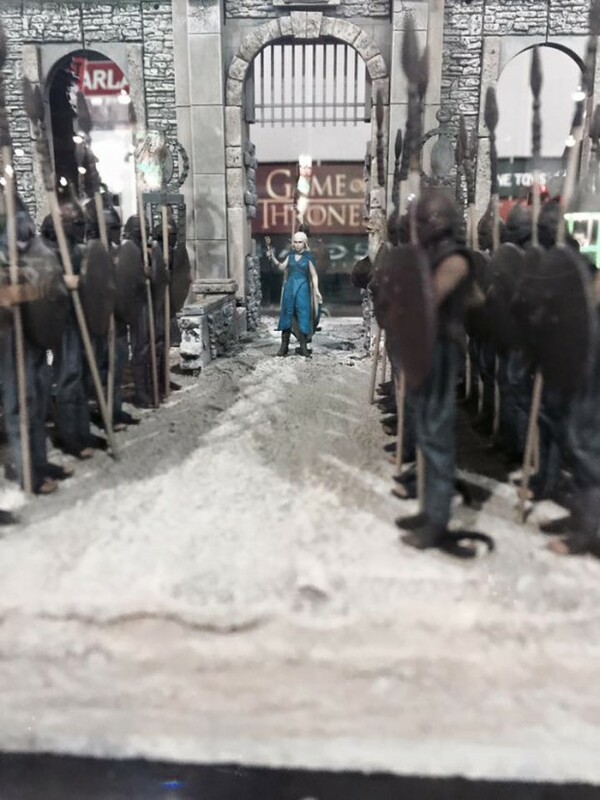 More (non) zombies for everyone. 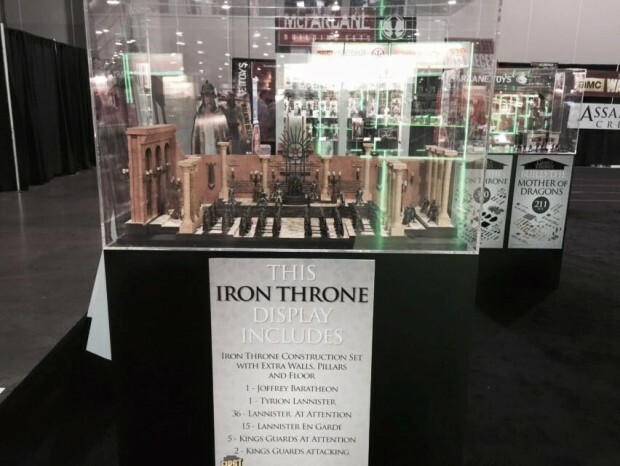 BigBadToyStore has the Iron Throne set for $32 (USD), the Stark and Lannister banner packs for $18 each and the blind bags for $4 each. 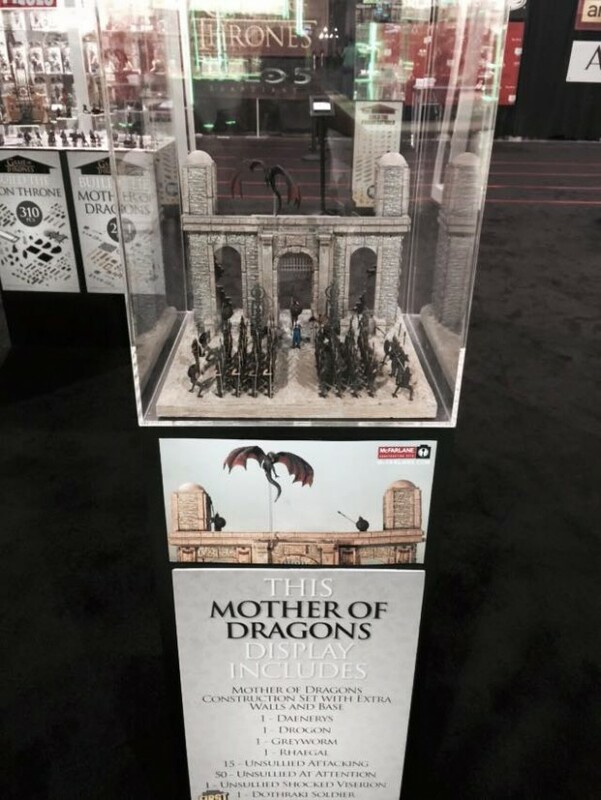 Judging from the company’s booth at this year’s GameStop Expo the Mother of Dragons set will be available soon as well.